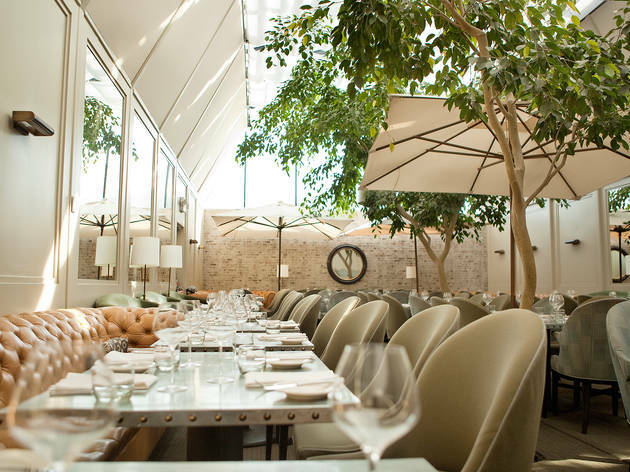 Tavern is a Suzanne Goin restaurant, and unmistakably so: There's the signature olive tree gracing the main dining room, the elegant yet understated aesthetic (Tavern’s interior design comes courtesy Jeffrey Alan Marks) and, of course, the menu. 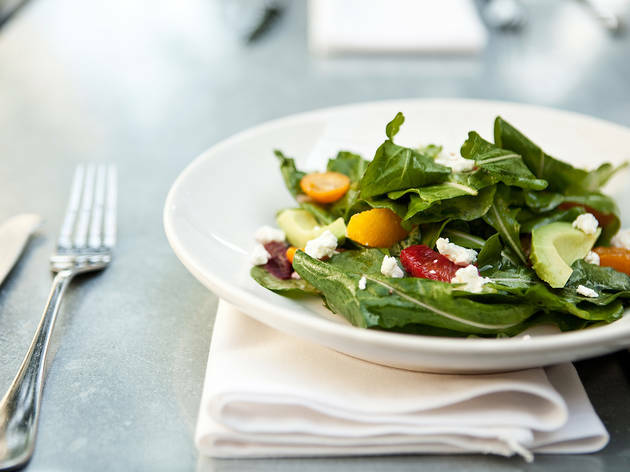 Like Goin's other restaurants (Lucques, AOC), you'll find flavorful, market-driven California-Mediterranean dishes here: The arugula salad ($14) is peppered with citrus segments of blood orange and tangerine. And English peas and its tendrils—popping up at farmers markets across town for a short season—will make its way onto a plate of beautiful, herb ricotta gnocchi ($25), or pureed into a soup with mint oil ($11). 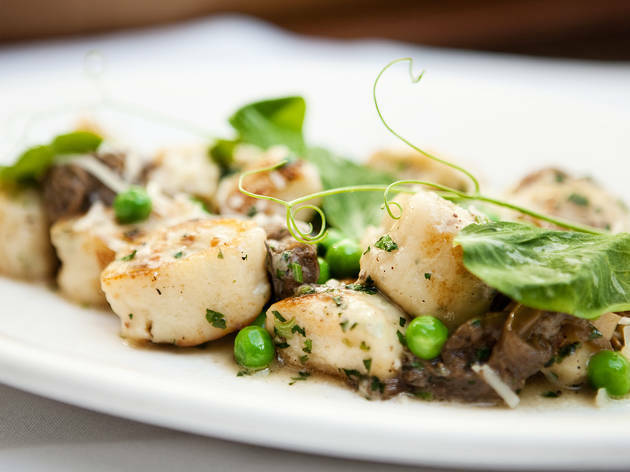 If you live on the Westside and your parents are in town, or if you're a Brentwood lady who likes to lunch, Tavern fits the bill quite nicely; though, if you’ve been following Goin for a while, you’ll sooner return to Lucques, where the dishes are bolder and more exemplary, if not downright inspiring. 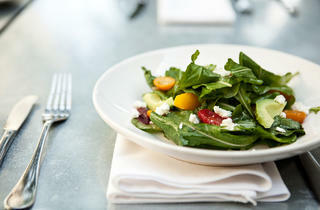 Eat this: Chef Amy Deaderick's menu changes with the season, but you can’t go wrong with any of the restaurant's excellent salads to start. 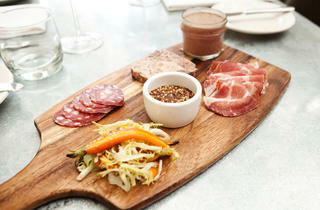 There is also a pork from a ReRide Ranch heritage pig ($34), say, or the charcuterie plate ($16) at the bar. Drink this: Goin's business partner and wine director Caroline Styne puts together an impressive book of wines, with a good number of offerings from California and France. 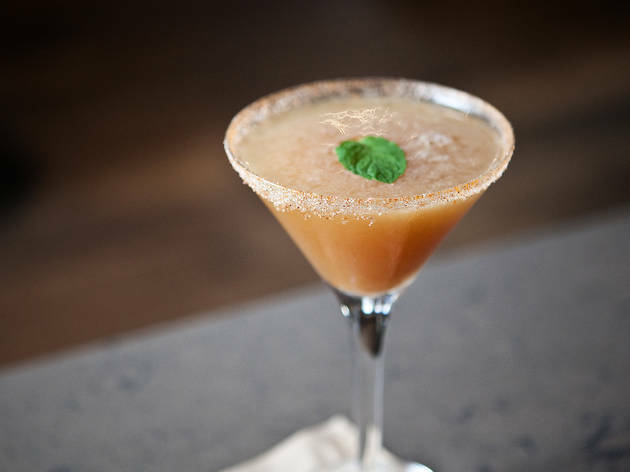 The cocktail program, too, is strong, if pricey; try Mexican Lollipop ($14), with Agavales tequila, apple juice, sugar, tamarind and salt. 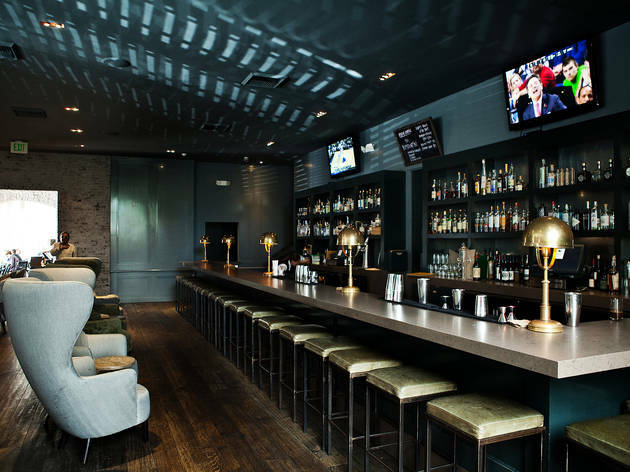 Sit here: Tavern is divided into three sections: For a casual experience, sit in the blue-walled bar area. 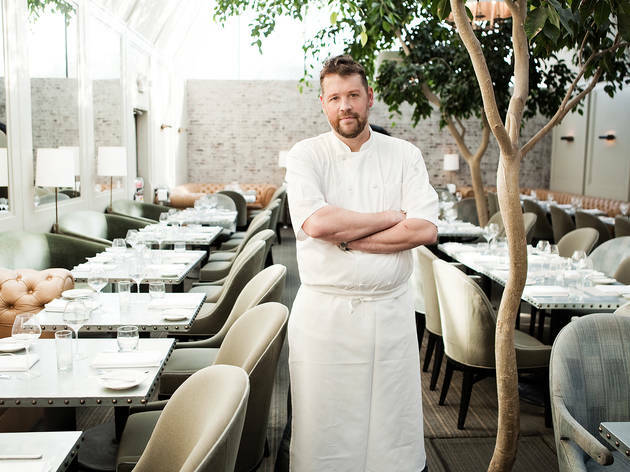 If you want a slightly more formal meal complete with white cloths, ask for a table in the glass-roofed atrium that serves as the main dining room. 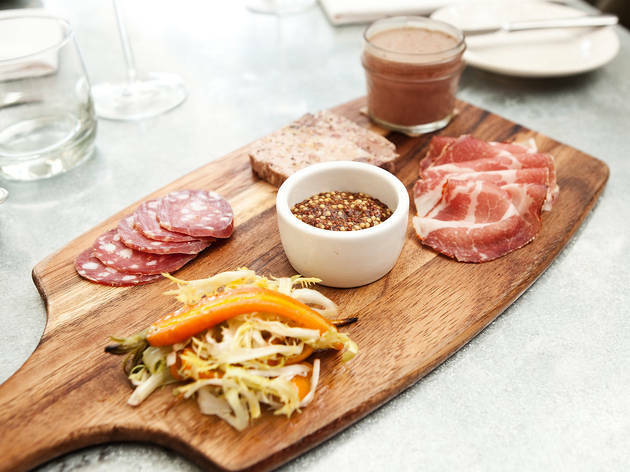 The Larder has a row of tables to enjoy a cup of coffee with a pastry or two for breakfast; soups, salads and prepared foods to dine in or take out for lunch; and a three-course, $19 prix-fixe for dinner (daily 5-7pm). 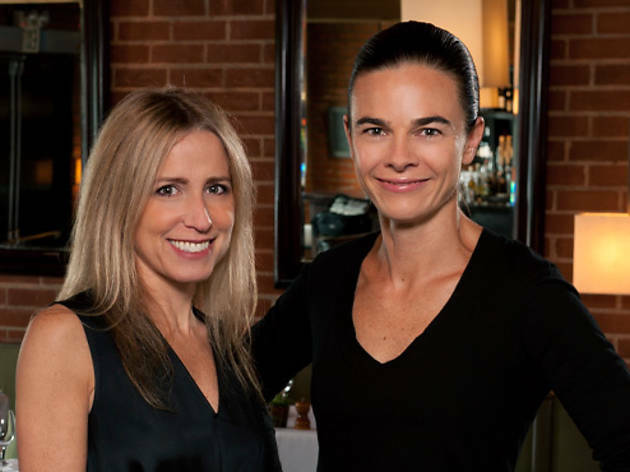 Conversation piece: Suzanne Goin and Caroline Styne expanded their café format to the 90210 with the Larder at Maple Drive and will soon open another storefront on Burton Way next month.